News relevant to the Home Office today includes coverage of the four-week consultation on replacing landing cards and the future of the European Arrest Warrant. The Times has published a front page story about the Home Office proposals to replace the paper-based system of landing cards as part of Border Force’s ongoing digital transformation of border controls. The article raises criticisms of the plans from Lucy Moreton of the Immigration Services Union and former Home Office Director-General David Wood that useful information on those coming into the country will no longer be collected. Our response to this suggestion is below. The withdrawal of landing cards will not result in the loss of any data that is used for security checks. 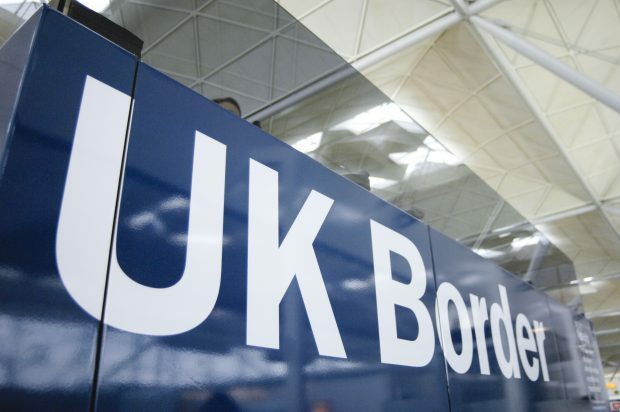 All passengers arriving from outside the EU will continue to be checked against the variety of police, security and immigration watch lists which are used to verify the identity and confirm the status of every passenger arriving at UK airports. This is the latest stage in an ongoing and wide-reaching consultation and security and immigration colleagues have already been involved in the development of this proposal. The Telegraph and The Sun reported that British judges will act as the final body of appeal for British citizens facing extradition under the European Arrest Warrant (EAW) after Brexit. The Telegraph reported that the European Parliament’s chief Brexit negotiator, Guy Verhofstadt, has said that the European Court of Justice must retain oversight of the EAW. The Government response to this issue is below. The Prime Minister has been clear that we will take back control of our laws and bring an end to the jurisdiction of the European Court of Justice in the United Kingdom. As part of the negotiations with the EU we will discuss with the EU and its Member States how best to continue cooperation on security, law enforcement and criminal justice. The White Paper makes it clear that we will seek a strong and close future relationship with the EU on these issues. The EU has agreements with non-EU countries in this field to which direct ECJ jurisdiction does not apply.